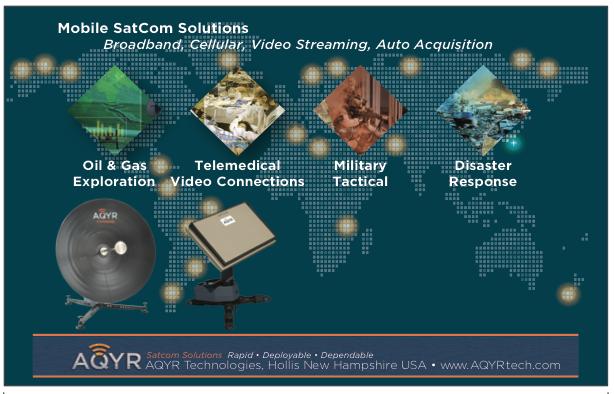 Satellite terminals need to be mobile for airborne, maritime, vehicular and tactical applications — and even if the terminals are not mobile, they often need to be able to support satellites that are not “fixed” but moving in a low or medium orbit. Whether it is the antenna platform that is moving, or the satellites themselves, the net result reduces to the same requirement: rapid and automated pointing and tracking. Mobile or rapidly moving antennas and man-portable platforms require Size, Weight and Power (SWaP) to be optimized. It is obviously easier to move and track a lightweight antenna system, and mobile applications have limited power and thermal budgets that demand efficient energy utilization. This is true regardless of the shape of the antenna; terminals using flat panels, parabolic antennas and conformably shaped antennas all need to be efficient in terms of their SWaP footprint. When we look at a complete mobile or portable satellite terminal, we see it is made up of four major subsystems: the antenna/pointing mechanism, the baseband equipment (modem/router) and the RF (Radio frequency) components – the BUC (Block Up Converter) and LNB (Low Noise Block downconverter). At Mission Microwave we make Solid State BUCs and SSPAs. This paper explains the rationale behind the market opportunity for BUCs and why the BUC remains a center of value in the evolving ground terminal market. The antenna is the most visible aspect of a satellite terminal — hence, it usually gets the most attention. The past five years have seen amazing plans for smaller, lighter antennas for commercial and military mobile terminals. There are even new industry acronyms for Flat Panel Antennas (FPAs) and Electronically Steered Antennas (ESAs) in the jargon. Some of these advances really are breakthroughs and others are just hype. Hype is good — it brings attention and analysis to the market and ultimately brings visibility to the companies that actually do offer value to the market. A number of advances have been noted in materials, devices and design that promise drastically to reduce the manufacturing cost of the antenna and pointing mechanism from tens of thousands of dollars to hundreds of dollars (in volume). These new antenna technologies are appealing and they make the satellite terminal look materially different. The antenna can be extremely low profile, which has obvious benefits when mounted on top of an airplane or a tactical vehicle; or the antenna can be easier to install on a home or office as they point themselves (without actually moving) and there is very little wind loading from a flat surface. Flat antennas tend to be a good deal less efficient than traditional parabolic antennas — and therefore require physically larger sizes to get the directivity they need. They don’t need much gain per se in a LEO environment but — when you’re planning on having thousands of satellites in orbit — directivity (beam width) starts to matter and there is no substitute for aperture. The end result is really big, yet attractively shaped, antennas to provide the same service as smaller, traditional antennas. Small affordable antennas have a niche in many mobile applications where even a small amount of connectivity is a vast improvement over essentially zero connectivity today. These small, sometimes referred to as “disadvantaged” terminals, rely on using more satellite bandwidth and sophisticated modems and RF processing to make up the difference for their small apertures. 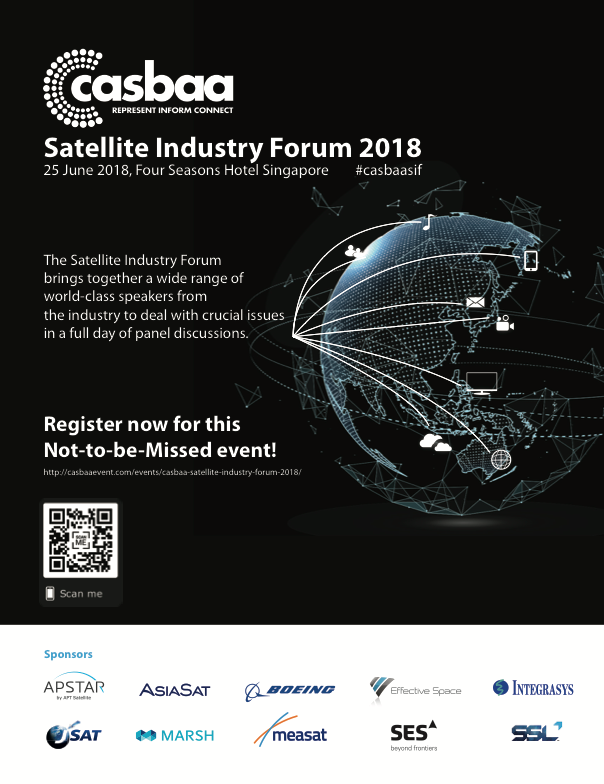 There is a lot of action in the antenna side of the business, and overall there is a tremendous amount of investment being made to reduce the price point for the antenna component of a satellite terminal, which is being driven by the volume of mobile applications and the introduction of new technologies and architectures. The baseband or data processing equipment is typically referred to as the “modem” or “Satellite Router.” These boxes have become smaller, less expensive and bring much faster performance than their predecessors. The signal processing math in these things is amazing — they manage (2-way!) megabits or gigabits per second and cost less than a television set. 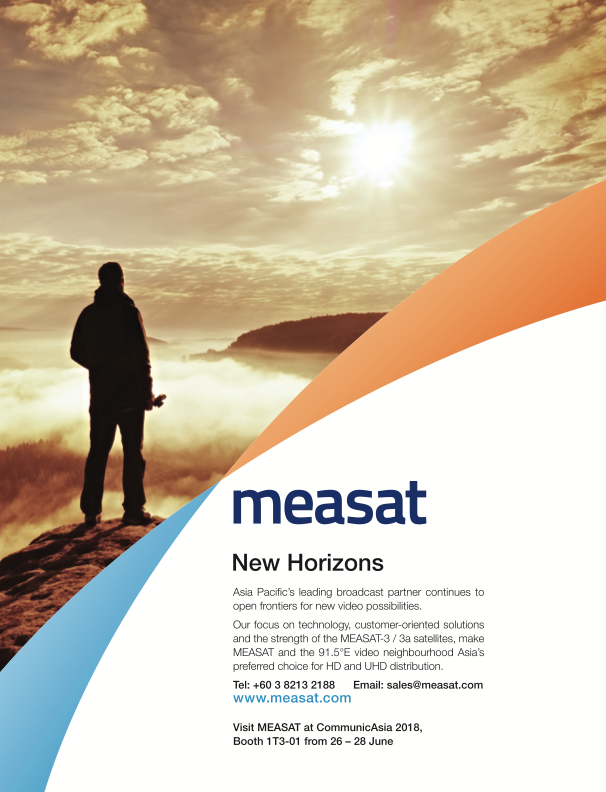 Highly integrated chip designs incorporating the latest DVB-S2X waveforms are re-defining the performance expectations of satellite links to the point that they are competitive and often even better than terrestrial alternatives. The signal processing capability of the modems can help make up for the smaller effective aperture in a flat panel antenna system. Modem and baseband equipment cost have dropped rapidly while performance continues to increase. The baseband equipment follows a predictable “silicon” cost curve – increasing performance/decreasing cost. The RF equipment in the satellite terminals has two major and very different components — both involve amplifying and frequency converting signals. The LNB is a Low Noise Block Downconverter combined with a Low Noise Amplifier. In the early days of satellite communications these were hard to come by and very expensive. Amplifying signals without adding (much) noise is tough and used to require cryogenic technology. Thanks to advances in semiconductor technology driven by the very large consumer markets for receive only terminals — such as Direct to Home (DTH) TV — the cost and reliability of these devices has improved by orders of magnitude. They literally cost a few dollars, but some links will require LNBs that cost ten times that — still cheap. The other RF component is the BUC — Block Up Converter and Power Amplifier. In a mobile satellite terminal the BUC takes the signal from the modulator (the transmit side of the modem) and boosts it from under a milliwatt to several watts or several hundreds of watts. Changing the frequency of a signal and making it a million times more powerful without distorting it is hard to accomplish. LNB’s do this with receive signals at very low power levels, but receivers in mobile terminals are largely unregulated because they really can’t hurt anything else if they are poorly implemented. 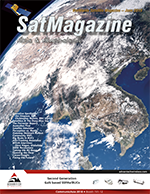 There are understandably a lot of regulations on how to build a transmit terminal to avoid creating interference to the adjacent satellites or frequencies. Higher performing modems require better “linearity” to support higher order modulation signals schemes. Newer satellite bands, like the 30 GHz Ka-band, require higher frequencies and higher power levels to overcome rain fade. These BUCs are the high value component in the remote mobile terminal. At Mission Microwave, the value thesis is that BUC retains an (increasingly) large value in SATCOM terminals even as the baseband and antenna portions undergo more rapid price reductions. To paraphrase Willie Sutton – “That’s where the money is.” BUCs and RF Power amplifiers have evolved considerably over the last decade. Exotic compound semiconductors like Gallium Nitride (GaN) have become commonplace — yet still difficult to work with in volume. The size, weight and efficiency of solid state amplifiers have changed drastically. This reduction in SWaP enables new designs. 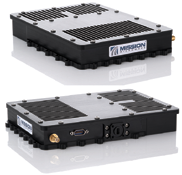 For example, Mission Microwave’s Flatpack amplifiers produce 12 watts in Ka-band or 25 Watts in Ku-band in a 28 ounce and 1 inch thick package that can be built directly into a flat terminal. Even today a leading Ka-band BUC will weigh in at twice that and a typical one will be 4 times the weight and twice the volume. At Ku-band, the differences can be even greater. While BUCs do benefit from economies of scale they follow a very different cost and performance curve than traditional electronics. They are not silicon-based and they do not have the very high volumes associated with DTH LNBs. BUCs are typically based on solid-state electronics using compound semiconductors like Gallium Arsenide (GaAs) or Gallium Nitride (GaN). This stuff comes from a more limited and completely different supply chain than Silicon semiconductors and the skill base to work in these technologies is extremely limited. BUCs will get cheaper — but not as quickly as the other elements in the terminals. Here’s why: There are constraints on available cost reductions due to the supply-side limitations (design skills and production capability) while new low cost / high performance baseband equipment is increasing demand and simultaneously requiring higher RF power and higher frequencies with “cleaner” output performance. The growing mobility market requires the lowest SWaP that can be delivered. So we have a trifecta for finding value — limited supply capabilities, increasingly challenging and constrained performance requirements, and growing demand. Mission Microwave and its industry competitors have recognized this value opportunity and are working to bring the required performance improvements to enable new mobile terminals and support high-throughput waveforms while reducing cost. Even so, the BUC will remain the high value component in satellite communications terminals for several years as antenna and modem prices continue to decline at a much faster rate. The next time you see a mobile or portable satellite terminal look at the BUC — that’s where the money is — and it is a fundamental design choice that separates the good terminals from the poorer ones. Mission Microwave focuses on BUCs and RF design; we support customers who have developed decades of value and experience in sophisticated satellite terminal design. As the next decade progresses and satellite network terminal architectures continue to evolve BUC manufacturers will meet the need for reliable low SWaP, highly mobile RF products. The value metrics for the market support continued investment and innovation and create opportunities for those who can bring these needed skills and expertise to the market. Author Steve Richeson joined the company in 2017 and is responsible for sales and marketing. He has 30 years of Satellite and Radio Frequency (RF) experience in engineering and sales leadership roles at Advantech Wireless, Exelis Inc., Harris Corporation, EchoStar, Scientific-Atlanta, GTE Spacenet International, SATCOM Technologies and Schlumberger. Steve is a Senior Member of the IEEE and a Registered Professional Engineer. He earned his engineering degree at Georgia Tech and an MBA at Georgia State University.